Nokia is in protracted talks with Facebook about ways to further integrate the hugely popular social networking site into select handsets, reports WSJ. Although any partnership deal has yet to be struck, and may never be, according to the article, citing “a person familiar with the talks”. Alternatively, Nokia is considering rolling a social network of its own, according to the report, which would tally with its web service ambitions. The company already offers social web features, such as photo and video sharing, a location-based social network and micro-blogging, all through its Ovi brand. Interestingly, the latest version of Nokia’s ‘share on Ovi’ software already offers limited Facebook support, such as photo uploads to the site. 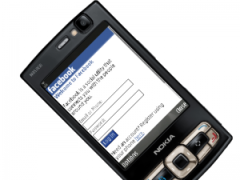 Should Nokia officially partner with Facebook? In a word, yes. Simply put, Facebook integration, if marketed properly, will help shift a bunch of handsets and stave off competition from Apple, Palm and Blackberry, all of which offer more Facebook functionality than Nokia. There would of course be internal questions about how much to prop up a potential competitor, but in the social networking game, network effects (number of users) win out and Facebook has this in abundance. But where would that leave Nokia’s own social web ambitions? There’s no reason why the company can’t promote its own offerings, alongside deeper Facebook integration. And besides, not all markets are equal. Facebook may dominate in the US and UK, for example, but in so-called emerging markets where Nokia already rules, that doesn’t have to be the case. There’s also a nice halfway house: build more third-party services into the company’s own social apps, such as cross posting to Twitter via Nokia’s Friend View software. After all Ovi means “door” in Finnish — the tag line reads “the key that unlocks every door” — but, as I’ve said before, right now it feels too much like the key to Nokia city. 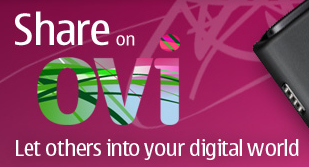 Nokia announces 'Ovi' mobile app store – is that a Facebook app I see?